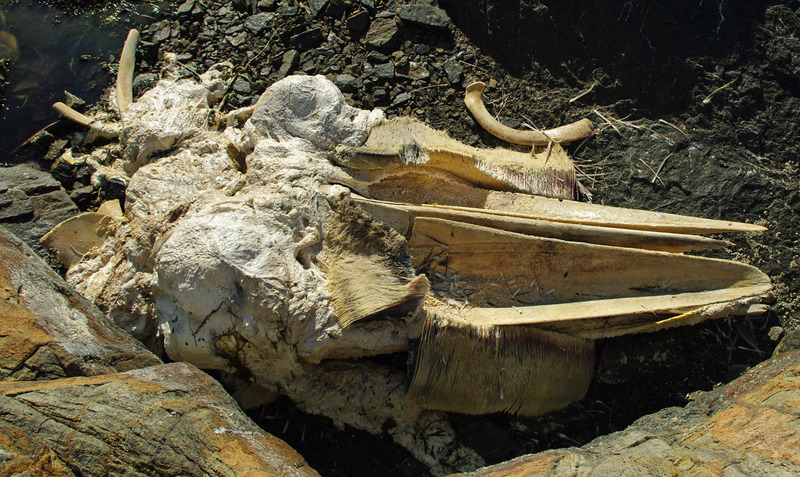 We were led to this by the smell, the skull of a relatively recently dead small whale. The baleen which looks like the leaves of a book can be easily seen and is still somewhat intact. This is what the whale uses as a filter when feeding. What you can't get from this picture is a sense of the awful smell of rancid and rotting blubber and the coating of blubber on all the surrounding rocks where it was presumably washed by the sea when the tide came in. I was tempted to take some of the baleen as a souvenir but was worried I may smell of it for the rest of my life so didn't.